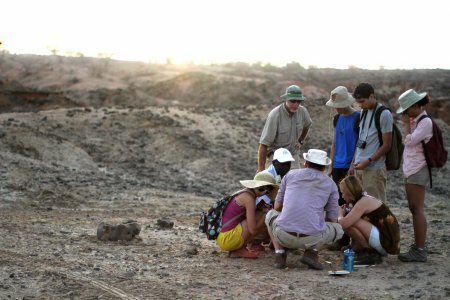 The first module of the field school is being taught by Professor Craig Feibel. 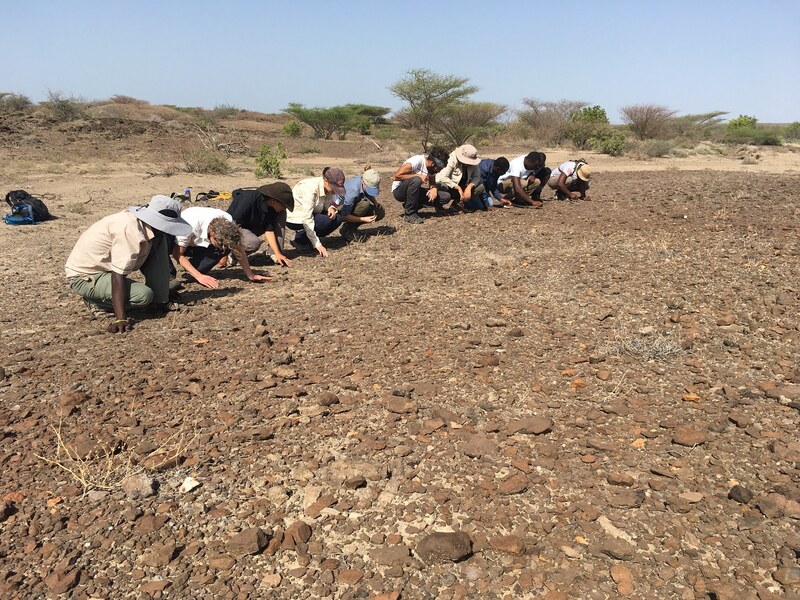 This course will give a good overview of the sediments in the Turkana Basin going back several million years, This comprehensive course covers everything from details of the geology to how to map, measure sections and looking at modern examples of things seen in the geological record. 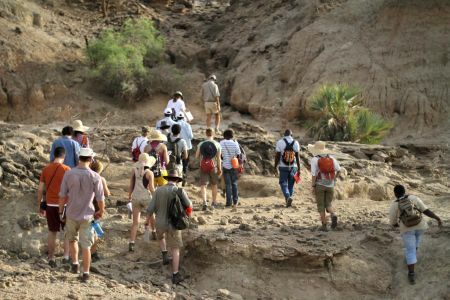 The fossil exposures nearby make an excellent introductory geological field excursion. 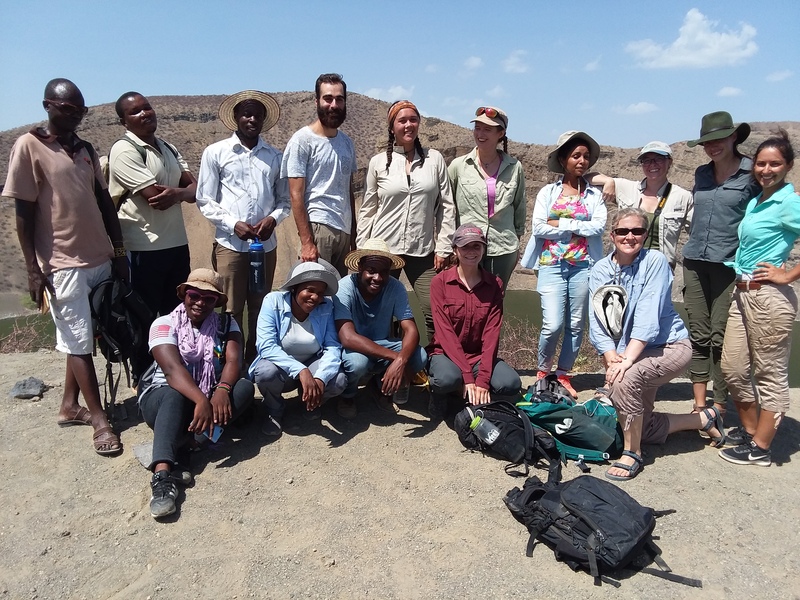 A first field excursion was planned to the Kerio River delta to look at the reed beds, tilapia breeding, and actually get onto the water and into the deltaic habitats. Students take cover as the invasive prosopis plant, introduced from South America, scrapes the sides of the lorry en route to the Kerio River delta. Kelly, John, Mary and Peter of the prosopis thorns encroaching onto the road. 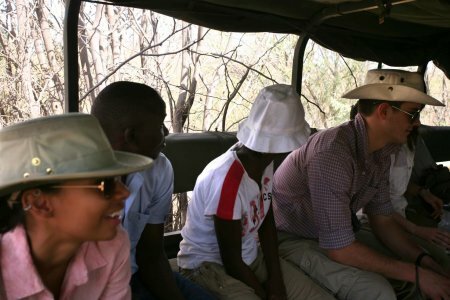 Professor Craig Feibel explains to everyone what they will see when they get out of the truck. 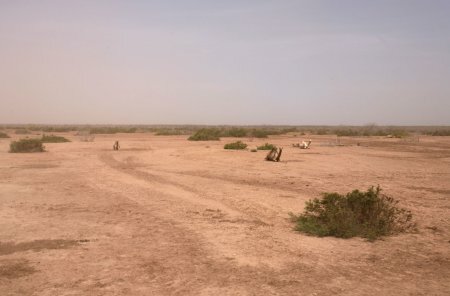 Unfortunately Prosopis julifora is rapidly spreading over the west Turkana landscape in areas where ground water is available. Not only is it difficult for livestock and people to get access to the river and lake, but it also proved problematic for the students to get to the delta. 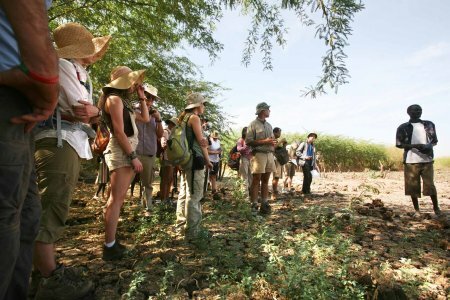 Professor Craig Feibel shows students how some Turkana make use of slash and burn agriculture to grow leafy greens and melons. 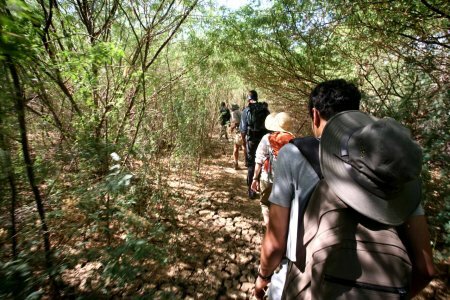 In this case their practices are helping control prosopis. Alec removes his hat as students move through the shade. The students are looking for a pathway through the Prosopsis to get to the delta. Camels sit during a mild dust storm on the way back to camp. 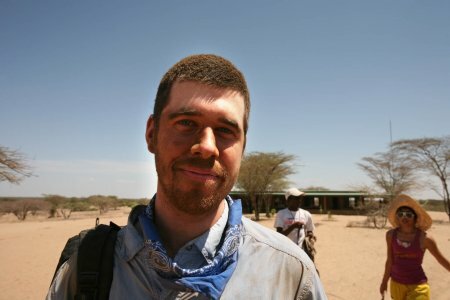 Except where a bandana covered his forehead, Patrick is completely covered with dust from the ride back to camp. 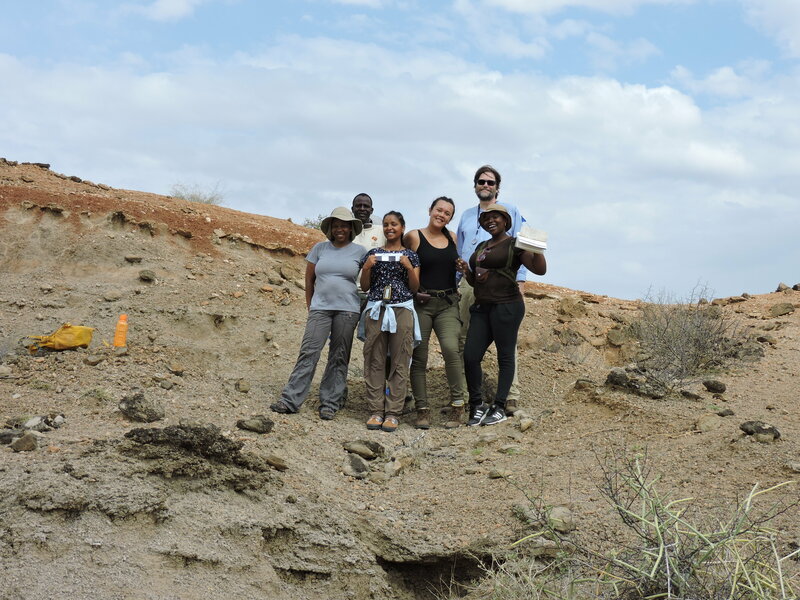 Some time was also spent in the sediments close to the field station. 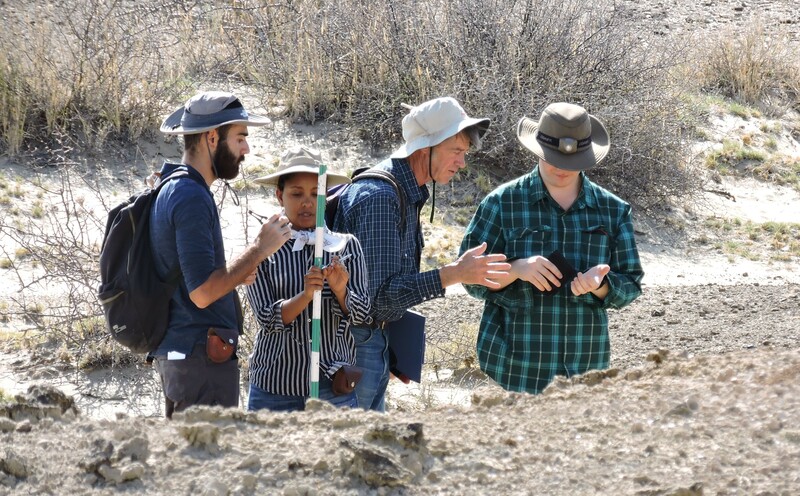 Before the end of day, Professor Feibel took students into the Pliocene riverbed deposits outside camp for an introduction to the geology of the landscape surrounding TBI. 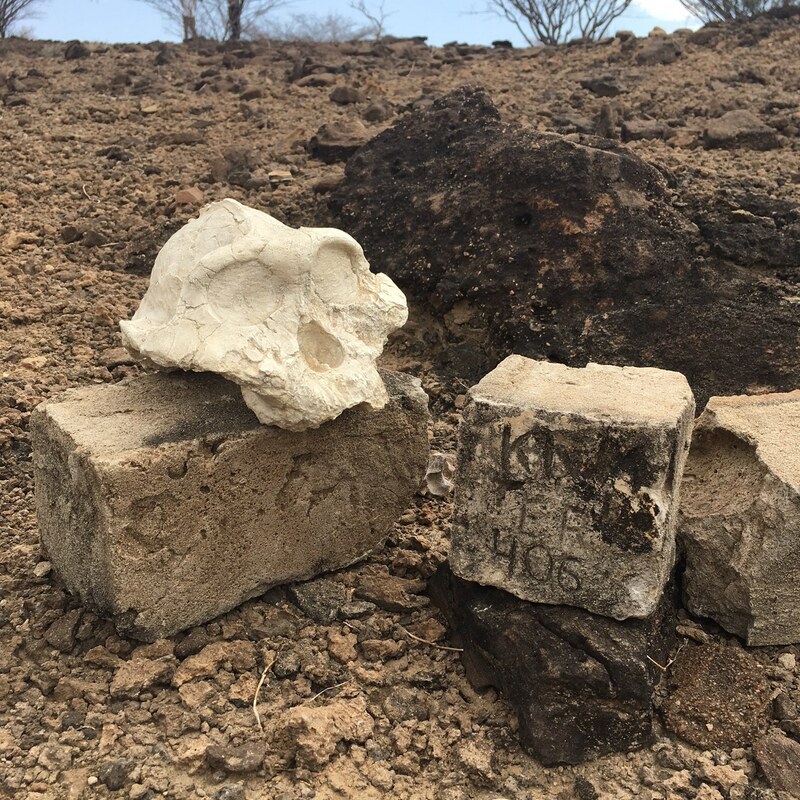 Students began finding fossils before sundown.